32.3% of Canadians with a disability visit a physician at least once a month (if a disability is involved, then over 50% visit a physician at least once a month). In addition, individuals who see their doctor regularly are 54% more likely to be physically active. However, only 11% of Canadian physicians refer their patients for physical activity assessments and programs. A key barrier to participation is a perceived lack of information on how to be active with a disability. People with a disability want to receive information from credible sources. Health care providers are one of the two most valued sources of physical activity information for persons with a disability. 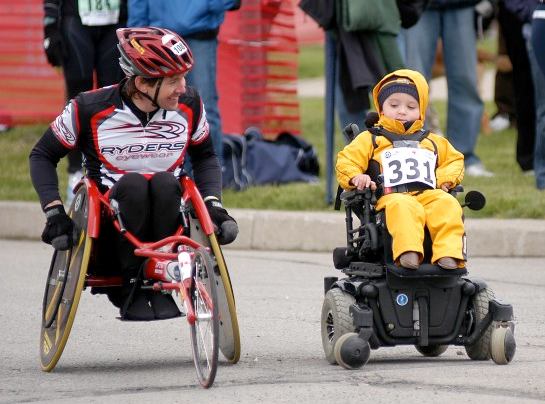 Healthcare professionals are encouraged to access published resources for sport-specific and condition-specific guidelines regarding the participation of childr en with a disability in sports and physical activities. There are 3 simple steps you can take towards helping your patient lead a healthy and active lifestyle. By talking about physical activity, you have already taken the first step in becoming an advocate for your clients/patients! Focus on what your client CAN do! – consider possibilities and share your passion, information and recommendations with patients, colleagues, families etc. 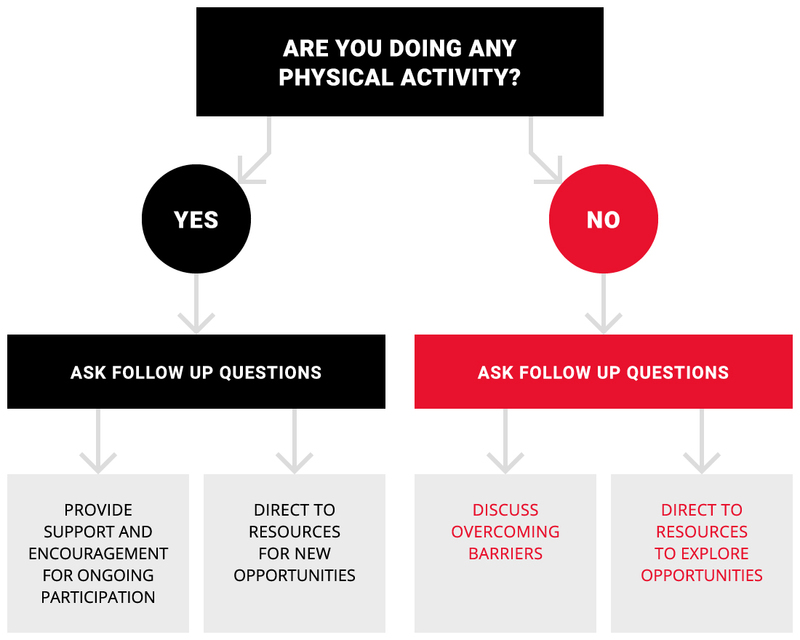 Ask your patient: Are you doing any physical activity? Provide support and keep asking questions on their participation and involvement in follow up appointments.